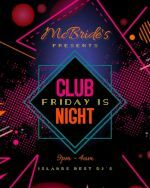 This and Every Friday Night, McBride's Music Pub & Night Club, presents Club Night. 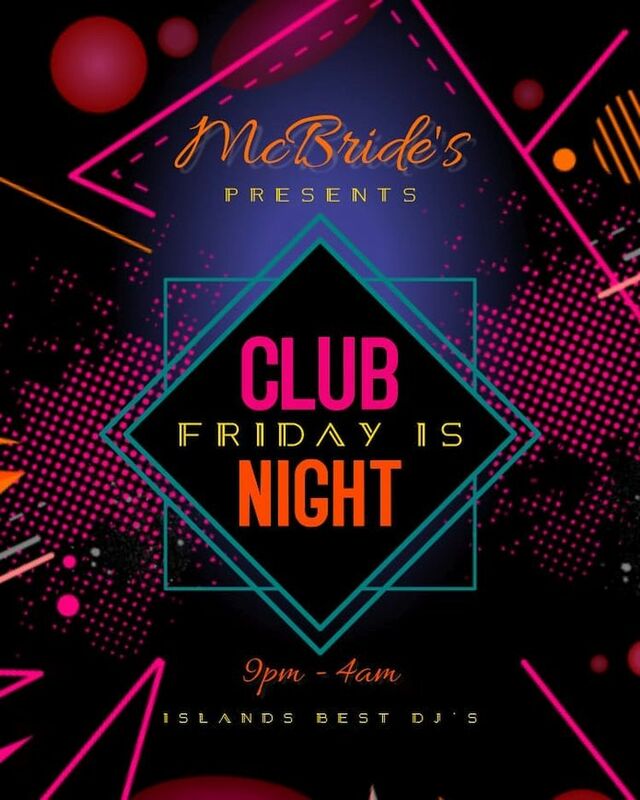 Experience the greatest Friday night party on the island inside the #1 Night Club. The party starts cranking just before midnight. Just in time to make it the official Oistins after party.